Zoeftig’s Far Eastern portfolio is expanding fast. With a new office now open in Kuala Lumpur, and the company having already fitted out major terminal developments in China, the Zoeftig name is fast becoming known and respected in the region. 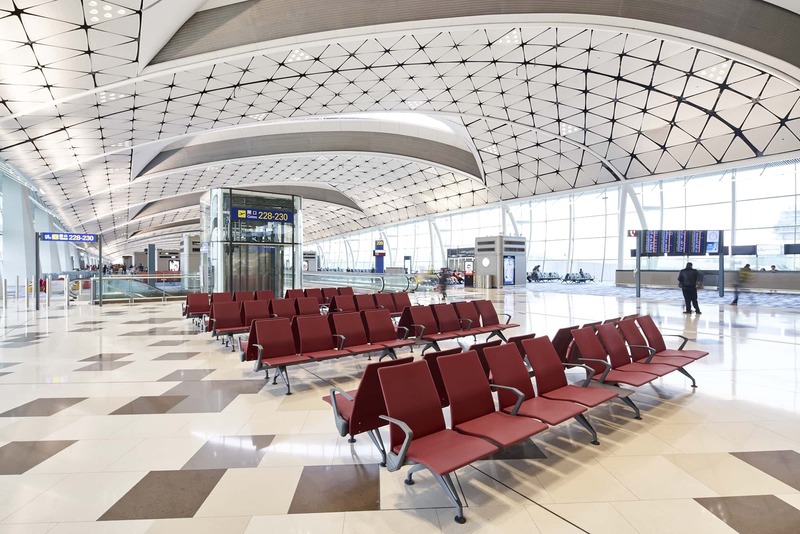 This position has been further strengthened with the completion of Zoeftig’s latest fit out, as part of Hong Kong International Airport’s new HK$10 billion Midfield Concourse (MFC). Over 5,500 of its inFINITE seats and 1,600 power positions were fitted as part of the new 105,000sqm complex, and in-seat power was a key driver behind the design and configuration of the seating solution. The bespoke designs, installed in stunning red and grey colourways, feature Zoeftig’s market leading in-seat power solutions. The special individual USB charging modules were developed for optimum passenger convenience, with each of the twin USB sockets capable of delivering 2.4 amps of power simultaneously; going beyond the capabilities of traditional socket USB charging points, which are restricted to a maximum of 1.2 amps when both sockets are in use. This means that tablet devices can be charged at the same speed as they would be if connected to a 220v or 110v supply. 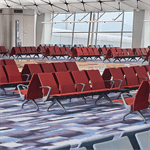 Traditional USB charging points will only ‘trickle charge’, so the inclusion of the Zoeftig’s USB charging modules negates the need for the airport to supply mains voltage power to each seat. All USB sockets are also replaceable without needing to change the transforming module, allowing for the low cost replacement of damaged USB sockets. All modules were produced and colour matched to the new seats and all feature full closed system cable management to ensure maximum passenger safety. Alongside safety, practicality was another key design factor. 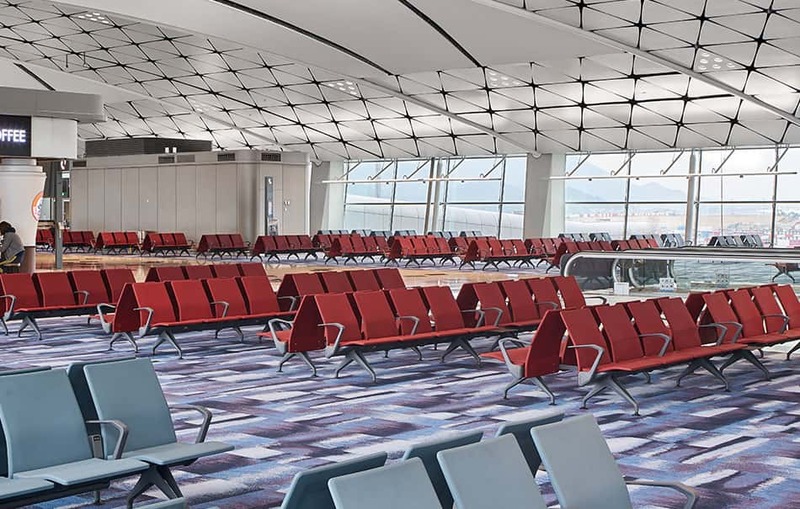 Cable management is one specific area that Zoeftig has worked to further develop for bespoke projects like Hong Kong and this work has culminated in a number of new solutions. Zoeftig’s power feed cable with braided sheathing is designed to run from the floor box to the leg conduit. The sheathing is then clamped at each end to protect the seating connections and the plug in the floor box from accidental strain. A specially designed clamp grips the power feed cable at the appropriate length and is then locked into position when the floor box cover is inserted into the floor box base frame. 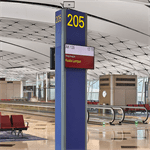 The unique shape of the clamp ensures that the cables exit lies flat on the floor; thus protecting the cables and minimising trip risks to passengers. Another feature of the safe cable management design includes a cable clamp positioned on the seat’s rear leg. This method allows the clamp to rotate around the leg whilst providing a strong mounting location and protects the internal cables and conduits from accidental movement and strain.